As the season draws to a close, I feel that the time is right to reflect on the highs and lows from 2015. From Tregaron (3rd May) to Corbiewood (1st November), there haven't been many meetings that I've missed. From Tregaron, Presteigne, Cilmery, Aberystwyth, Tir Prince in Wales; Allensmore, Wolsingham, Hellifield, York, Scorton, Appleby and Kilnsey in England and Corbiewood in Scotland. For the first time this year I ventured across the Irish Sea to take in the atmosphere at Portmarnock during their biggest two day meeting of the season (Ladbrokes Vincent Delaney Memorial). You might agree then that I would be one of the very few best-placed to give an all-round synopsis of the season in the UK, and perhaps shine a light on Ireland as well. To be honest, it wouldn't matter if you agreed or not, I'm going to write this either way. Firstly because the end of the season brings with it the winter blues, knowing that I won't see some friends based down south for six months or more, so by reflecting on the summer just gone I can keep my mind off the thought of the long, dark months ahead. And secondly because I love to write. 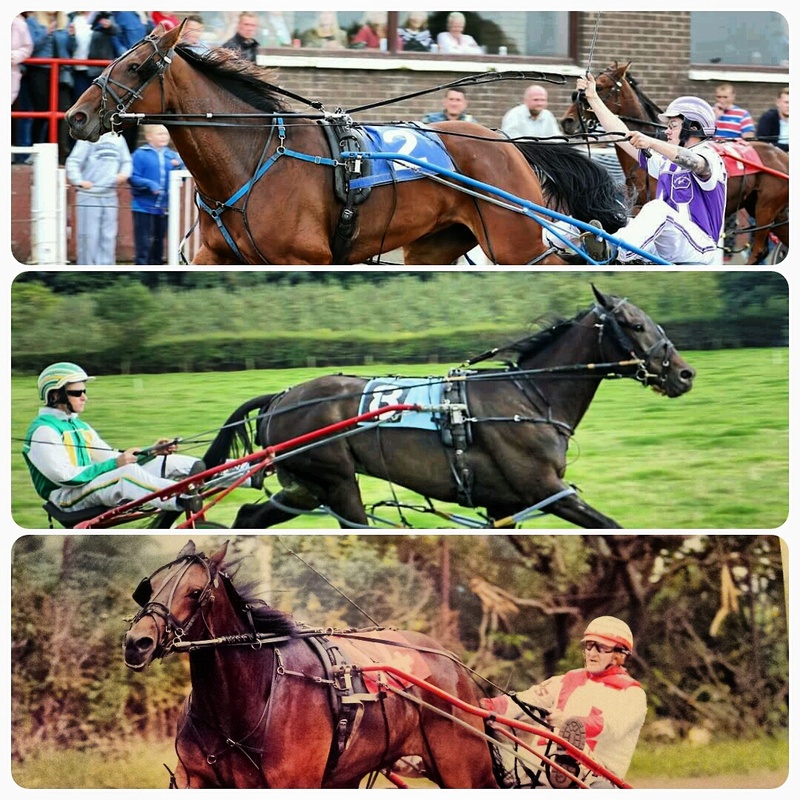 - enjoying success with our own horses, in the form of five wins for Wild Bill Hickok (and six seconds), two wins for Young Stephen in Wales (with Michael O'Mahony) and one win, plus three seconds and three thirds with my mare, Shes Some Deal. That one win was my sole target, and took longer than hoped and expected, but when it came it brought me to tears. 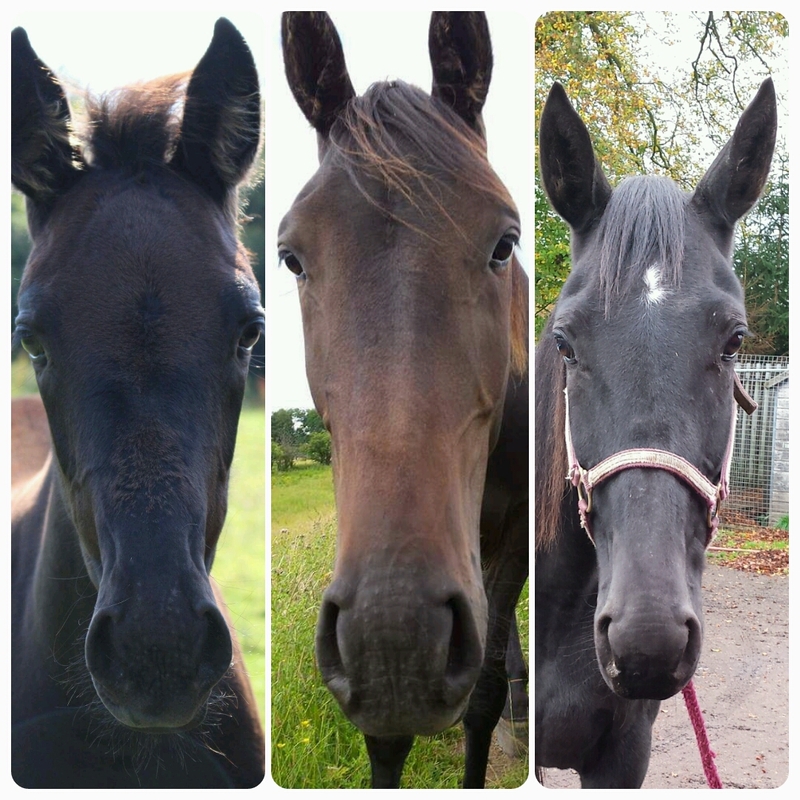 Our horses did us proud this year. - when Sherwood Bluey won his maiden at York. The sheer delight on his owner Kirsty's face when he managed to get up just before the line to win was priceless. Money can't buy that feeling, and I was encouraged to still see evidence of the purest emotion in racing. - when Colonel Mustard won the high grade OPH at York on Sale Day in front of a bumper crowd, and in doing so beat one of the season's most consistent Free For All horses, Brywinsmagicpotion. Speaking to Richard [Haythornthwaite] following the win, it seemed that only he actually believed the horse could win. Belief and hope are two very different things, as I had merely hoped. That victory saw him run an impressive sub-two minute mile and rack up his 22nd career win, 20 of which he was partnered by Richard. 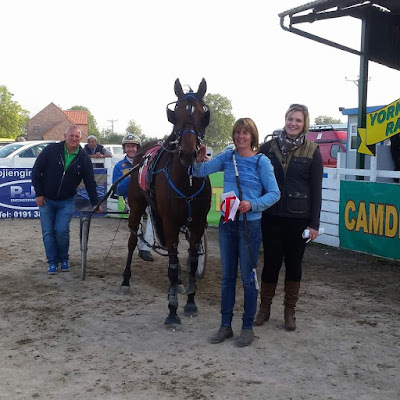 - when Ross Leary won his first race, albeit by dead-heating (something he seems to have a knack for, having finished in three dead heat placings in his first six starts as a driver). In fact, all of Ross' drives to be honest. It has been some time since I have seen a young driver drive with such level-headedness, especially considering he can be a right arrogant so-and-so when he's winding me up! - the return of Tir Prince. Nothing more needs to be said than that. The best track in the country. 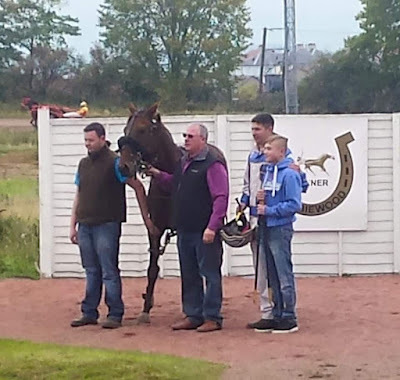 - the day that Astounding won a leg of the Inter Dominion qualifying series at York. His trainer, and biggest fan, Ron Caddies, had assured Smarty and me that the first time the horse drew one on the gate in a FFA of this nature, he would win. The horse went off an 8-1 outsider and some of his competition did not give him the respect he deserves. Meadowbranch DJ and John Richardson tried to take him on and found themselves parked; stablemate Meadowbranch Romeo was under instruction to sit behind DJ and keep DJ's main challenger, Brywinsmagicpotion, boxed in on the rail. Having broke stride as the gate rolled away, Romeo had to use plenty of fuel to catch up with DJ to fulfil his role and as the race continued, found himself fading badly. As DJ began to struggle having gone the longest way, a few of us were stood shouting on JR to keep Magicpotion in the box however we needn't have bothered; Gordon Gilvear kicked his charge on and Astounding was more than willing to oblige, coming home not only unchallenged but very impressively. This in itself was a highlight, however the real highlight was Ron's reaction. He was shaking so violently immediately after the race that I had to ring his wife to tell her the news because he was completely incapable of using his phone. Smarty had been stood with him and for the first time in a long time, found himself shouting for the horse as loud as Cad - he said his enthusiasm was infectious! - being able to write for Harnesslink. This has been such a wonderful opportunity and I must thank Steve Wolf for all he has done in helping me learn to be a better writer. Also to Bill Cardno, without whom the Corbiewood weekly race reports would not have been half as interesting - his photos are first class. And to Elizabeth O'Neil, Graham Rees and Janet Cockburn who have also contributed their photos to my reports. - and finally, a major highlight for me has been the continued hard work and support put into the sport by the endless list of individuals who clearly care so much about it. When everything seems to be going Pete Tong, it's so encouraging to look around at the efforts of these people and realise that I am not alone in wanting to see this sport flourish and grow. Due to these efforts we have witnessed an even bigger Vincent Delaney Memorial weekend which was truly international; the return of the Crock of Gold, the introduction of the Standardbred Sales Company Battle of the Big Guns Series, an exhibition at Musselburgh which will hopefully lead to the revival of the two day meeting in 2016, the Inter Dominion qualifying series and the new PACT weekend at York which was a success, and introduced AP McCoy to our sport. Harnesslink's most popular section is that of UK and Irish racing, which has numerous contributors across the UK and Ireland, Carmel Stewart and Elizabeth O'Neil have excelled in providing us with videos of racing from across both countries; Graham Rees, Nadina Ironia, Bill Cardno and Janet Cockburn have continued to document our sport through photographs and Lesley Smith, Carmel, Karen Kennedy and Lisa Farrelly have provided an excellent online results service all season between them. - the examples of blatant non-trying, with the most notable example being that of Happy Hands at Hellifield. This was quite frankly one of the worst cases seen not just in the 2015 season, but in any season, and was brought swiftly to the stewards' attention by two members of the public. No action was taken. The same complaints were taken to the BHRC, and again, no action was taken. Non-trying happens across horse racing no matter under which governing body or in which country. If a governing body is going to legislate on it, then they must enforce the rules. Simple. It is something which gives our sport a very bad name with the general public. - the more than substantial suggestion that Corbiewood will close its gates at the end of the 2016 season for the final time. According to numerous sources, although the track is not due for development until some time after 2020, in order for work to start on the surrounding area, the back straight will need to be turned into a roadway for the vehicles to access the site as soon as early 2017. - the loss of three of my beautiful horses in Dorres (aka Orders, Real Desire-Because I Said So-Jate Lobell) due to complications following severe colic; Parker (aka Rooster Cogburn, The Firepan-Dark Velvet-Raque Bogart) due to a freak accident in the field; and Nala (aka Crosshill Bombay, Mypanmar-Vain In Spain-Artsplace) due to unknown but sudden causes. It is always sad when you lose an animal and I do try to live by the concept that it is better outside the back door than inside, but that never softens the blow if, like me, you love your horses unconditionally. 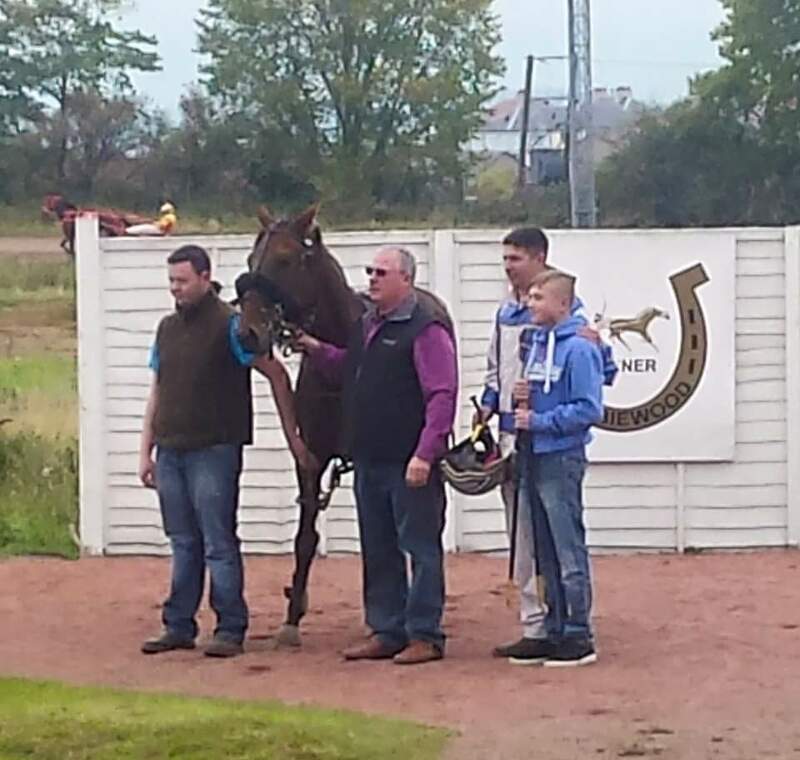 - the loss of Musselburgh in 2015. An inevitable loss due to work being carried out on the course which stages the two day harness racing meeting. As mentioned above though, hopefully this will be resurrected in 2016, bigger and better than ever. - the debacle surrounding the race criterion requested by sponsors at Corbiewood, which resulted in race sponsorship and the trophy being withdrawn on race night when these outrageous requests could not be met. An embarassment for the whole committee, even those who tried to raise concerns prior to the event, and also for those associated with the sponsors who were drawn in to an unsavoury argument in the paddock office. - the absolutely shambolic manner in which the sole BHRC Steward in Scotland chose to deal with a rule breach by several individuals at Corbiewood on Sunday 25th October, when choosing to punish one individual and not the other three who were in breach of the exact same rule (as well as numerous others including not holding a BHRC owner or trainer licence and running horses under previous owners' names more than once). - finding out that there is more than one grass in Scottish racing, and knowing that these people have no qualms about reporting people thinking that they will never face the consequences of publicly holding their hands up and admitting they have done it. This leads on to the unfortunate issue of the level of bitterness and jealousy that still remains in racing, for which there is no place. We CAN work together, if people got rid of the chips on their shoulders. People must also remember that to be granted confidential informant status by the police or a court of law is a difficult process; the BHRC cannot guarantee complainants that so for the sake of an open and accountable sport, have the balls to stand up and say you don't agree with something and wish to report it. I did. I don't live in fear that others will find out I reported them to the BHRC - I only did so because the BHRC decided to start something and weren't, in my opinion, prepared to finish it. And finally, the way forward. Firstly, is there a way forward? I believe there is. I believe in the old adage that "Rome wasn't built in a day". It really wasn't. If Michael O'Neil is reading this - I told you I was interested in history and particularly the Romans. If he isn't reading this, someone tell him I name-dropped him again because I think he likes it (he will begin to feature in these blog posts soon once I find a way to introduce him gently to the world of blogging...). Massive steps forward have been taken in 2015 under the new administration at the BHRC. However, far too many of these steps appear to have been made by individuals outwith the organisation; the sport is still so heavily reliant on the volunteers who give their time, expertise and money to keep the sport going. Major issues such as stewarding and the application of rules and penalties need to be addressed as these fall at the governing body's door; there is nothing that us volunteers can do other than highlight where the discrepancies are. I, along with many others, do not want to continuously complain to the BHRC about matters. I want to be governed by a organisation that I am proud of, as much as I am proud of the quality of the horses and drivers that we have within our small country. In order for me to be proud of them, they must change their attitude towards the licence holders. In order to change their attitude towards licence holders, several people within the BHRC must go. There is an ingrained mindset between the 'old boys' brigade' who rose to power under the previous administration which, in my opinion, is preventing the current Chairman and Vice Chairman from fulfilling their potential. That said, with the initial introduction of the new handicap system for 2016, progress appears to be getting made. The power is slowly returning to the people, and as much as I have claimed that the best and worst thing about the sport is its people, they are who care about the sport the most.